The exam was successfully conducted by the Andhra Pradesh government between 17th May to 19th May 2016. This was a first online test conducted by Andhra Pradesh. A large crowd of aspirants emerged to give the examination. The diploma is basically for the candidates who desire to go in the teaching field in future. The diploma is applicable for some educational courses like D. Ed, D. El. Ed etc. The course involves a duration of two years. The exam provides the candidates who desire to become teachers in future an opportunity to them. After the end of some discussions, AP government conducted the examination. The exam was based on some of the subjects like teaching aptitude, general knowledge, general science, social studies, English, Telugu and Maths in part A. Also, the test include part B, which comprises of some of the subjects like Maths, physical science, biological science and social studies. The minds of the applied candidates were captured by many aspects while giving the exam. Now, they must be very eagerly waiting to check out their results for which they prepared by a large practice. The long wait of the applicants for the results has now come to an end as the results can be checked by the candidates on the website itself. The candidates who were able to clarify the exam were preferably asked to appear for further process. The website will soon show the details regarding the counseling schedule which is based on two processes; one is verification, and other is web counseling. The verification procedure involves the submission of required certificates which would be verified further. The second process, namely, web counseling involves choosing options for different colleges. The seats for the course will be allotted between 26th July to 28th July 2016. Recently, there came up a notification which shows that the qualifying marks for SC/ST ARE 30%, 40% FOR OC, 35% for BC, PH and other categories. Researchers end up with a conclusion that 72 thousand of applicants wrote the exam for getting admissions in 35 thousand seats for D. Ed colleges in Andhra Pradesh. There are 700 D. Ed colleges in Andhra Pradesh. All the classes will begin on 1st August 2016. 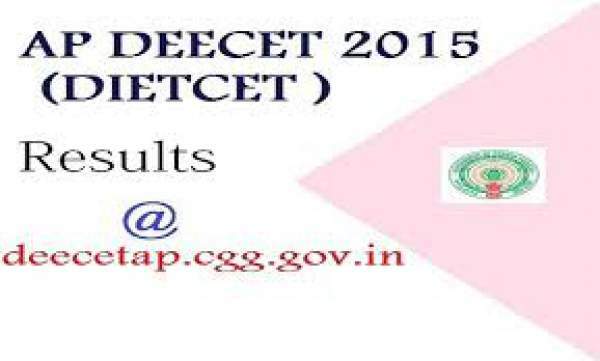 • Open the official website, namely, www.deecetap.cgg.gov.in. • Press on the link showing respective merit list. • The screen would show the merit list. • Now, check the list. • Make a download of the list for future purposes. Stay tuned to The Reporter Times for latest education news and all other government jobs updates across the nation. Don’t forget to share it on social media sites like Facebook, Twitter, Google Plus and others to let other people also know about it.